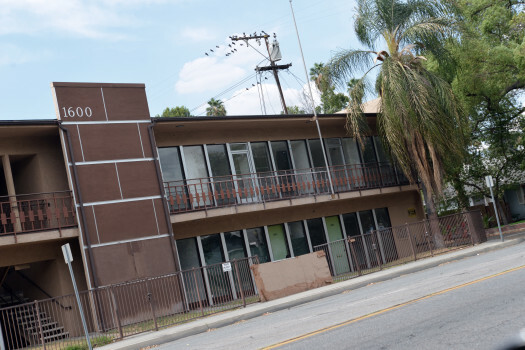 San Bernardino Office Building could be Transformed into an Apartment Complex - News - Resources - Allied Commercial Real Estate, Inc.
A vacant two-story office building on North Arrowhead Avenue in San Bernardino could be converted into a 15-unit apartment complex should city leaders authorize the building’s reuse this week. A public hearing on the project is scheduled for Wednesday, Oct. 3. Under a new ordinance, San Bernardino can allow the conversion of commercial office buildings within specified areas into residential complexes. Reusing such buildings will help revitalize those areas and assist the city in meeting its state-mandated housing requirements, a staff report prepared for Wednesday’s meeting says. The 11,350-square-foot building at 1600 N. Arrowhead Ave. has been underutilized the past 15 years, city staffers say, and could become a public nuisance but according to the staff report, approximately $1.2 million would be invested by San Clemente-based applicant Ocean Investment Group for property upgrades and necessary site improvements. Surrounded by single- and multi-family residences, the proposed apartment complex would have one- and two-bedroom units. The building’s outdated architecture would be modernized and new paint and landscaping would give it a fresh look and small playground has been proposed to accommodate residents with young children. At a community meeting this summer, neighbors voiced concerns over the project, including its impact on crime. Last month, city staffers said Ocean Investment Group plans to install a camera system with recording and remote-monitoring capabilities that views not only the property, but the adjacent alley and cross streets as well. The applicant would provide an on-site manager and implement the city’s Crime Free Multi-Housing program. Councilman Benito Barrios, in whose ward the project would go, lauded the Ocean Investment Group for its previous work in San Bernardino. “They have a reputation of doing good work in the city,” he said. The City Council meets at 5 p.m. Wednesday at 201 N. E St., San Bernardino.